Raj, a lovable Indian guy, is down on his luck after another unsuccessful dance audition, his tragic breakup with his girlfriend, and his parents threatening to kick him out of their home. Life doesn't seem to be going according to plan for him until he meets Jyoti, an attractive older woman who suggests for him to start a dance class for Indian women. Raj is leery of the idea, but reluctantly accepts the proposal since it will be a way for him to pursue his love of dance. 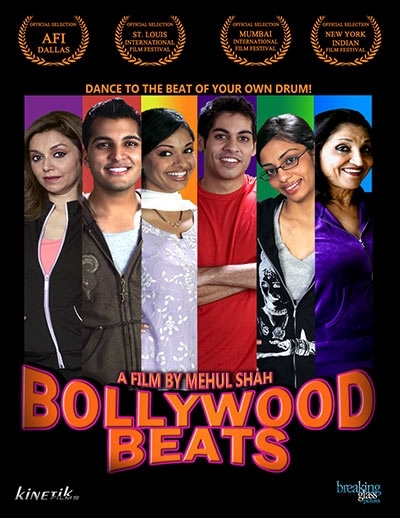 While unsuccessful at the start, Raj's class begins to grow with students like Laxmi, a housewife new to the country, Puja, an unenthused high school student who's grandmother, Vina is forcing her to come to class, and Vincent, a young gay teen who wants to dance regardless of his father's objections. Raj's dream becomes reality when he gets the job to choreograph an emerging star's music video. But something doesn't feel right. Raj must decide to take the shot he's been wanting all his life or to be there for his new family in their time of need. Through it all, the group manages to find friendship, love, understanding, and acceptance where they never thought to look.